Learn from Professor Richardson’s great ideas for educating nurses! Professor Janet Richardson BSc., PhD., PGCE., RN., DN., CPsychol of the University of Plymouth in England is an international leader in educating nurses regarding sustainable healthcare. She and her colleagues have educated over 1000 nurses using situation-based learning techniques. 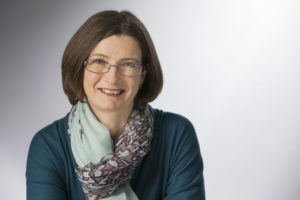 Professor of Health Service Research in the Faculty of Health and Human Sciences at Plymouth University, Janet Richardson BSc., PhD., PGCE., RN., DN., CPsychol is a nurse with clinical experience in cancer and supportive care. Following a psychology degree she began to research patients’ views of healthcare, and health service effectiveness. She teaches research methods, evidence-based practice, and health and sustainability. 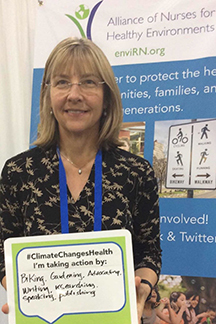 Current research engages healthcare providers and students in finding solutions to the challenges that climate change and resource depletion could impact on health and healthcare delivery. Her work with a multi-disciplinary team at Plymouth University on embedding sustainability in the healthcare curricula won a Green Gown Award in the 2014 courses and learning category, and The Guardian newspaper University Award for Sustainability in 2018. She leads a multi-disciplinary team working on health and sustainability funded by an EU project grant.